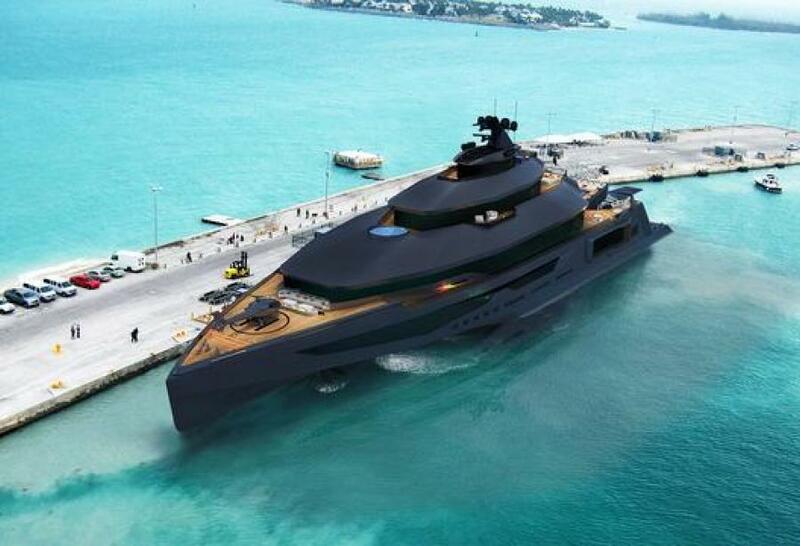 If you’ve ever thought about yachting, chances are some specific images jump to your mind. The fact is, those images are most influenced by social networks and virality than ever before. We’ve decided to take a look at what are the most viral yacht images of the past few years and at the stories behind them. To establish these rankings we’ve looked at Google’s image index, social sharing signals collected through crawling tools, mentions in mainstream media and interest on networks such as Instagram. 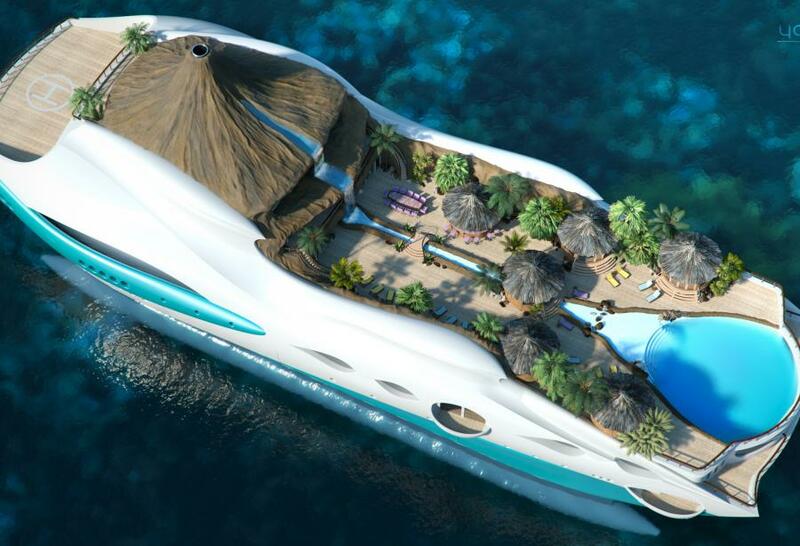 A perfect example of viral content, this 90m concept by Yacht Island Design named ’Tropical Island Paradise’ is centered around a Caribbean-like theme. The design company states in its brief that the goal of the project was to create an "idyllic, floating island, with all the features of a tropical island getaway built into the design". Based in Derby, UK, the design firm led by Rob McPerson, stated that the main purpose of this design was to create something fun and different from the current state of the market. There is a good chance you’ve already seen images from the photo shoot of J’Ade and her innovative garage which a tender can float into through a side door in the hull. Shared over 25,000 times on Facebook alone, these images have been used in articles by mainstream publications such as GQ, Buzzfeed and the Daily Mail. 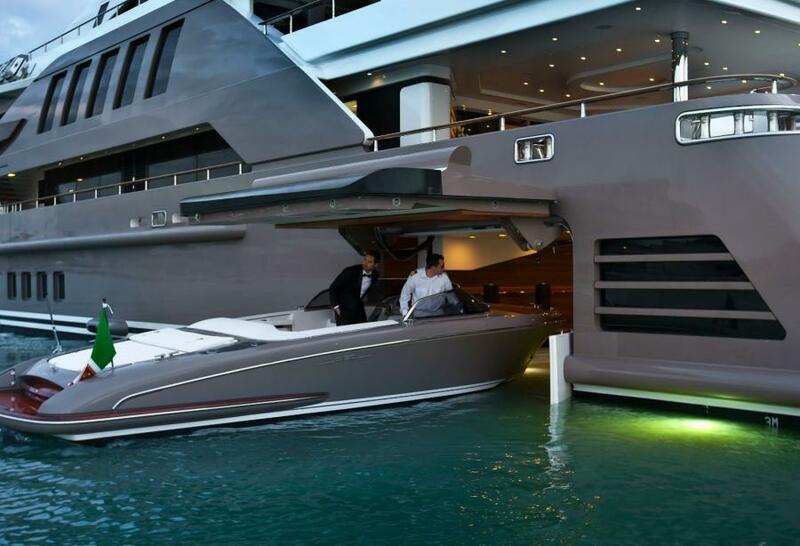 Float-in garages had actually been done before J’ade which was built in 2013 by CRN but never on a 60m yacht and through a dedicated side entrance. Pumps installed onboard allow the 18.400 liters tank to be emptied in under three minutes. The yacht is now for sale. 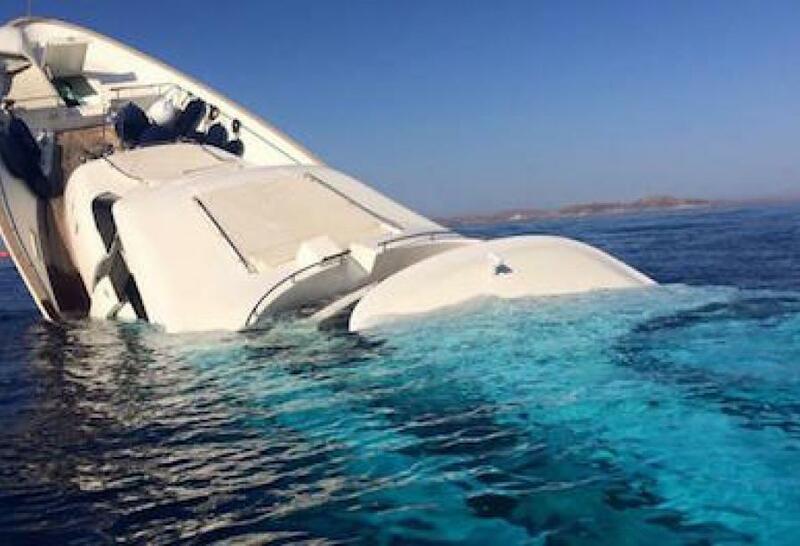 On August 20th 2015, the 33m M/Y Aloha sank in Mykonos after running aground on a reef. No injuries were reported but the yacht happened to sink near a populated area allowing amateur photographers to capture many images of the half submerged yacht. Mentioned over a 1,000 times on the web, this photograph made its way through mainstream media such as RT and Metro. At the 25th edition of the Monaco Yacht Show, Damen, parent company of Amels, introduced the SeaXplorer range. Famous, in-part, for launching the support vessel range, Sea Axe, Damen designed the SeaXplorer series to explore remote polar and tropical areas. The subsequent PR campaign caught the attention of most media organizations with Business Insider, the Telegraph, CNN and many other reporting on the concept. 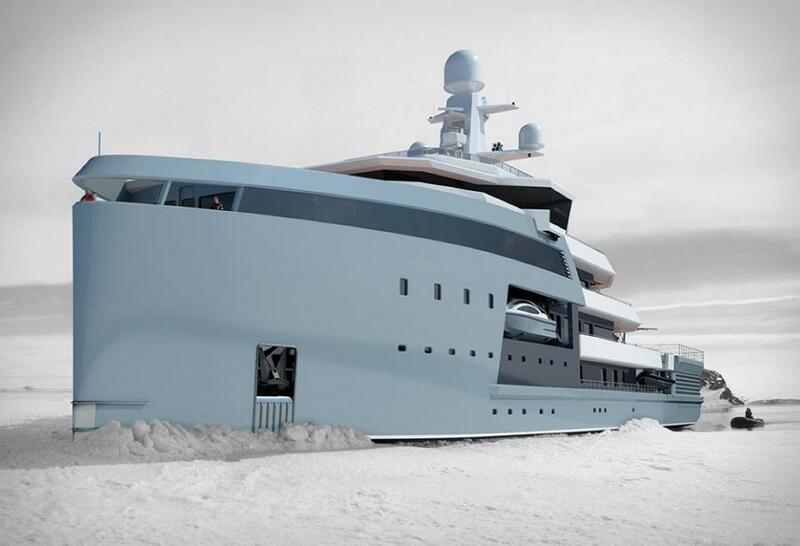 As a consequence, the 3D mockups of the yacht in polar regions in particular have gone viral on the net. 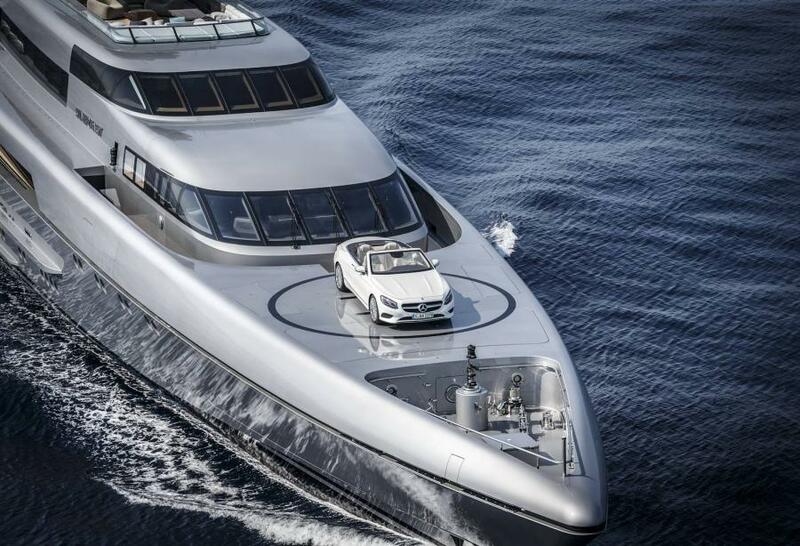 It might seem like a given that when two iconic brands such as Mercedes and Silver Yachts join on a marketing campaign, it works. This particular co-marketing effort was promoting the S-Class S500 cabriolet to potential clients interested in yachtin. The video presentation got over 75,000 views on YouTube and was covered by Maxim, Business Insider and other large organization. 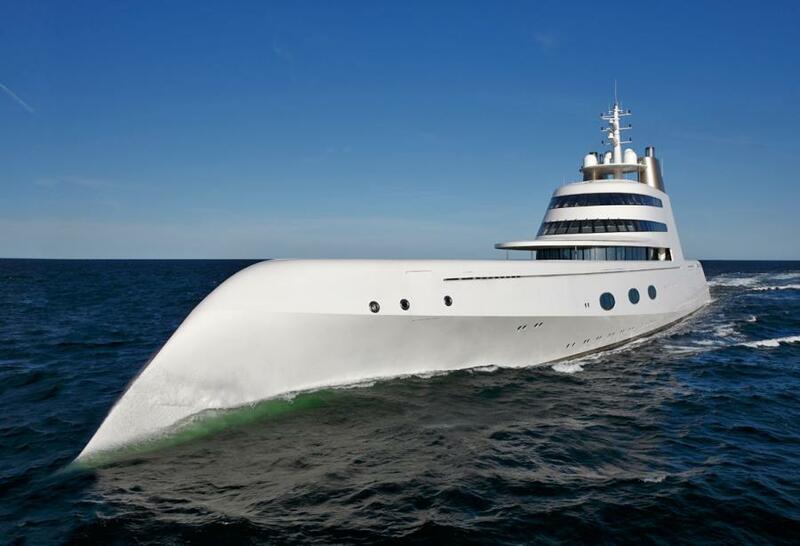 The 119m A, owned by Russian billionaire, Andrei Melnichenko, is perhaps one of the most iconic yachts and often springs debates across industry professionals. 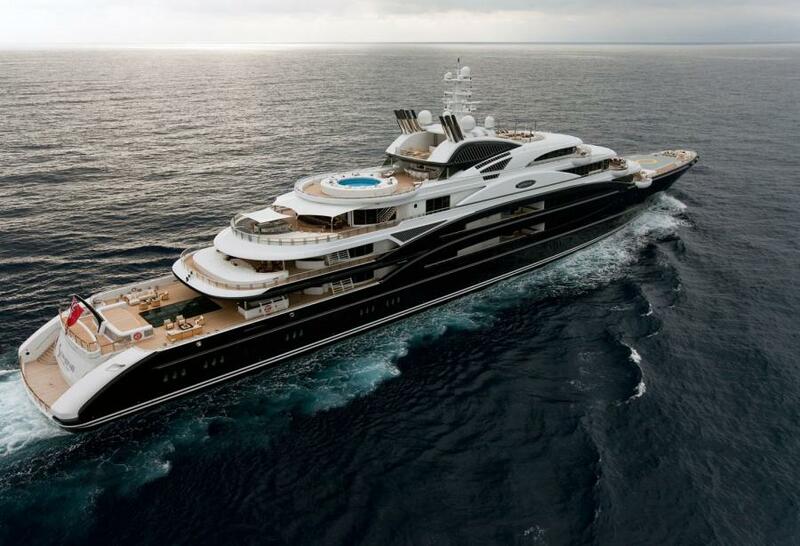 Data however shows that the A is often looked at and the photo above is the most shared on social media across all of the photo coverage of the yacht: 603 links on the web. Originally commissioned by Yuri Schefler, owner of Stolichnaya, from Ficantieri, an Italian shipyard specialized in larger ships, the 134m Serene has since changed owners. The photo above was shared a numerous of times in social media and linked to by 596 websites. It has reportedly been taken during a photo shoot that included interior pictures and might have indicated the fact that the yacht was being marketed for sale. The Admiral X Force 145 yacht concept is a 465-foot created by Dobroserdov Design in a partnership with Admiral Centro Stile and The Italian Sea Group. Boasting two pools, two helipads and large chandeliers, the concept got its largest audience from not one, but two Business Insider articles which got shared over 3,500 times on Facebook alone. 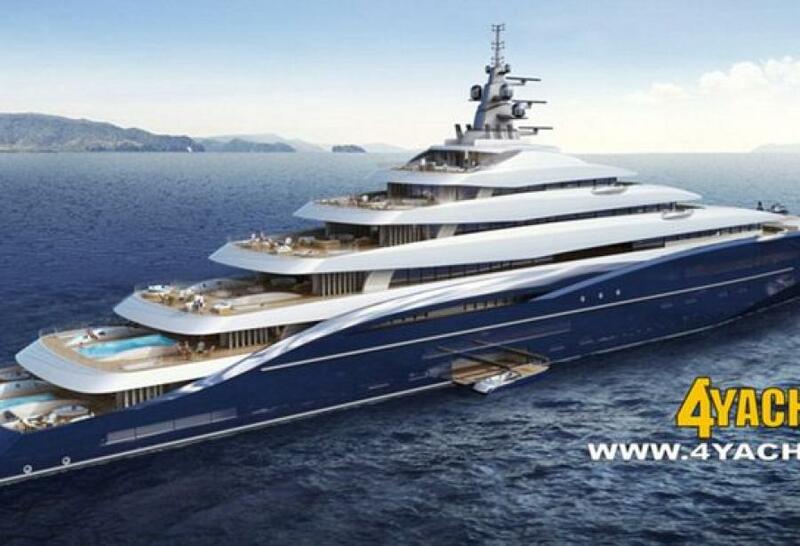 In October 2014, yacht broker, Craig Timm issued a press release stating that he had secured a contract for the build of a 222m megayacht from an undisclosed buyer. The statement came complete with promotional images and approximate cost which is peculiar in such statements. To this date, there is still no hard evidence that such a project is underway. The images however have gone around the web and CNN even did a story on the project. Perhaps it is the labeling of some articles in the yachting press that introduced the Calibre 102 project as worthy of a Bond villain or its unusual hull color that made the 3D mock ups some of the most shared yacht images on Instagram. 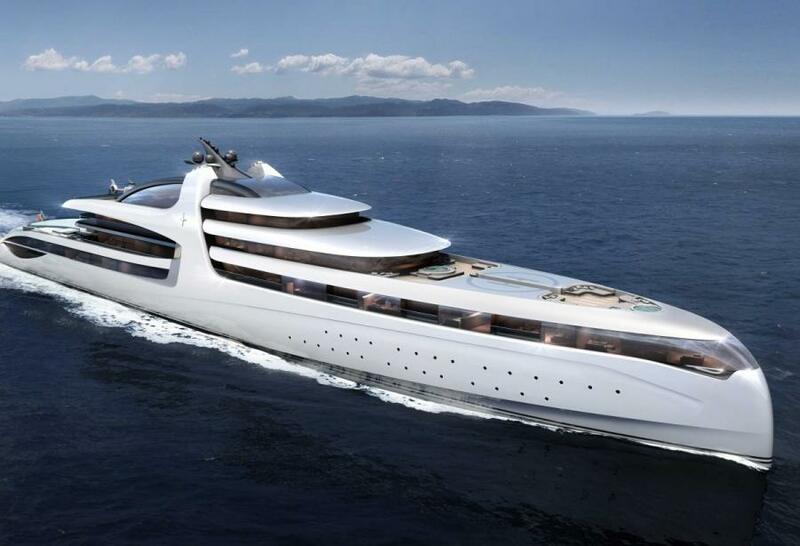 The yacht concept in fact is inspired by fast ferries and was created by Mahjoub El Mahmoudi of MUB Design.